You do have to visit another website, type in your text which will automatically convert your ʇxǝʇ. 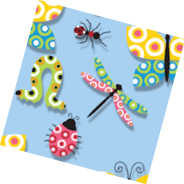 There are loads of website ready to flip into action – just search!!! Why TWITTER?… should you? do you need to? The benefits of Twitter and Tweeting has certainly been proven by many business over time and loved by people who want to share their location, feelings and nonsensical status. It’s a proven way of raising your business profile and following your buddies and favourite superstars on a regular basis. How do you get Followers? Of course, if you have a webpage you can ask people “To follow me on Twitter” but I suppose the easiest way is to follow other people, retweet their posts and reply to comments they make. For me, I really like Twitter as the 140 character limit means I don’t have to spend ages on typing – I can keep it short and ‘t’weet. Retweet great comments, jokes and special offers – be useful… spread the word… make your Tweets interesting enough and get Retweeted! Say hi to your new Followers – they will like to think you care! So there are a few tips – I am sure there’ll be more! An e-Prospectus for your school or college will only impress your prospective parents. The electronic copy of the document is easily accessible online or distributed by CD. The e-Prospectus shows your school off in super quality and definition and links to a downloadable copy for printing. Showcase your school with full page photos of children at work and play along with the school grounds, facilities and features. The flicking page encourages the visitor to turn to the next page and a simple click zooms in for hight quality text. Thumbnails and a text contents page allow your readers to browse and flick through the e-document with speed and ease. The e-Publications can be branded in your school colours along with the school logo. Simply send your existing document to e-Brochure.org for immediate transformation or send the documents and photographs and let the team build your page turning, flash flip book. Stand out from the rest of the schools in your locality and encourage parents to visit your school. Your e-Prospectus will entice them in…. where you can do the rest. Take a look at Blackwell First School’s e-Prospectus. e-Brochure.org will host your publication so there is no need to worry about your bandwidth for your existing website or whether you even have a website. Any electronic document can be converted into these amazing electronic documents, it’s worth creating each document with an even number of pages and using large photos which look great from the zoomed out view. Twitter offers a number of standard backgrounds as an attempt for you to customise and reflect your own personality whilst tweeting. These are great, but for the more adventurous, why not have a go at uploading your own background. It is often useful to access your email in more than one location, ie from work or home but you may want to store your emails in a central location and only download them in one place. Most email clients will allow you to read emails and leave a copy on the server to be downloaded from different computers and laptops etc. 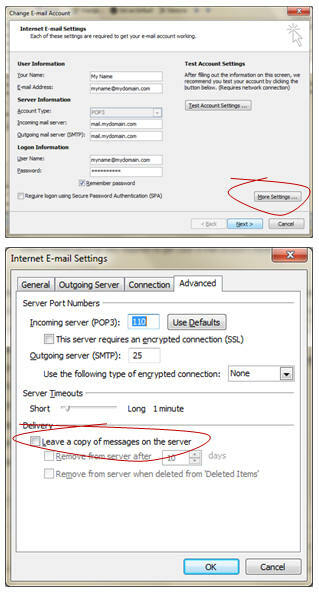 So in the Advanced email settings you can choose to Leave a copy of the messages on the server by ticking a check box. If all your machines are set to Leave a copy of the messages on the server your email disk quota will become exceeded which will result in sender’s emails being bounced back as there is not enough room to receive the emails and store them on your mail server. his will ensure your mail is downloaded from the server and your email disk quota is never exceeded. Your emails can be stored within your email client. You probably only want one machine that will download and remove the emails from the mail server. All other machines should have this checkbox ticked. In many digital documents, you can use the double click or triple click to select words and paragraphs. Easy peasy and useful too!